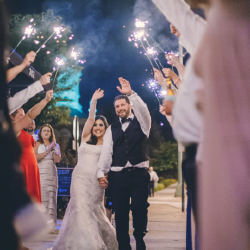 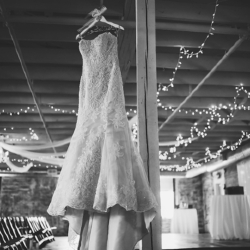 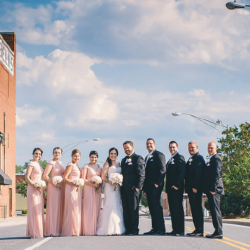 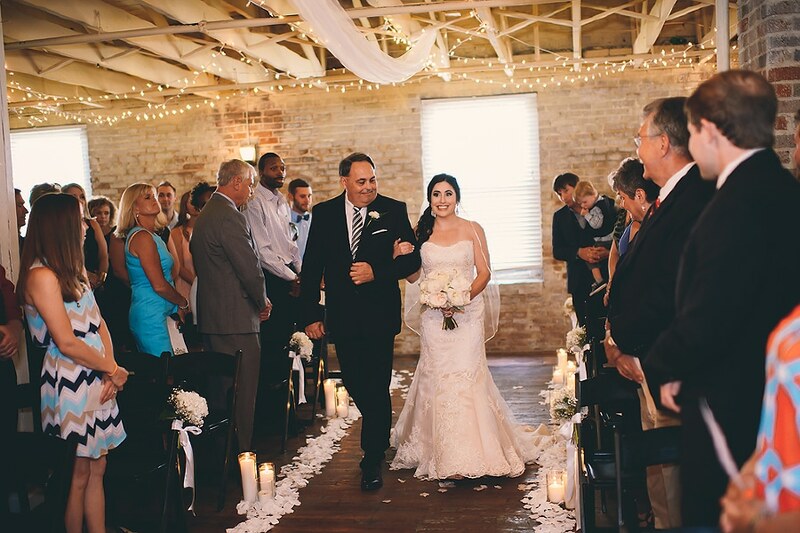 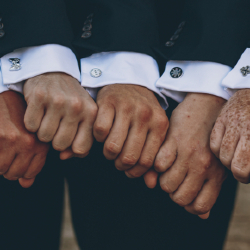 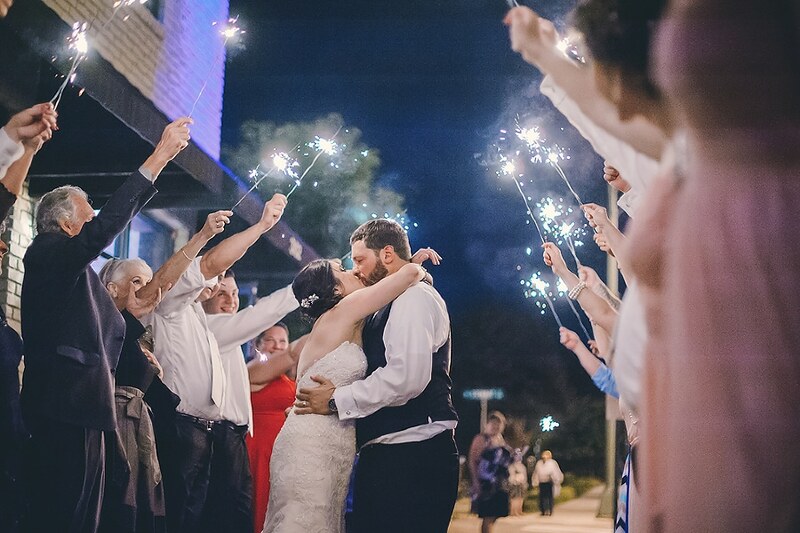 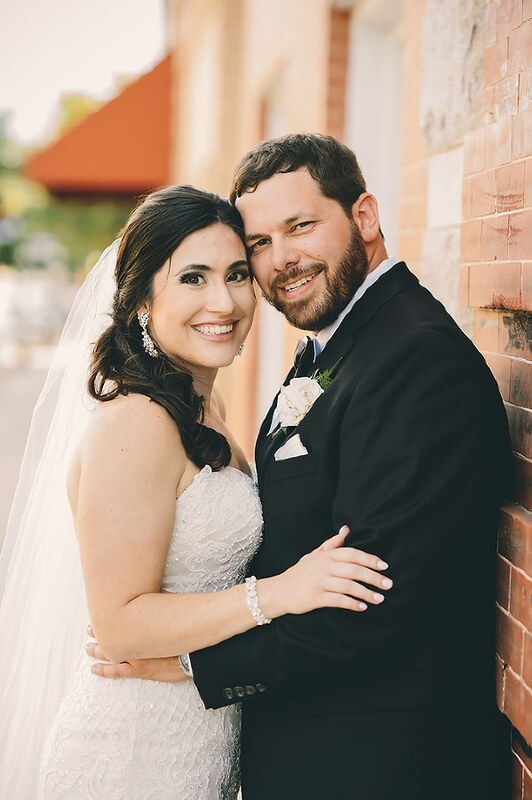 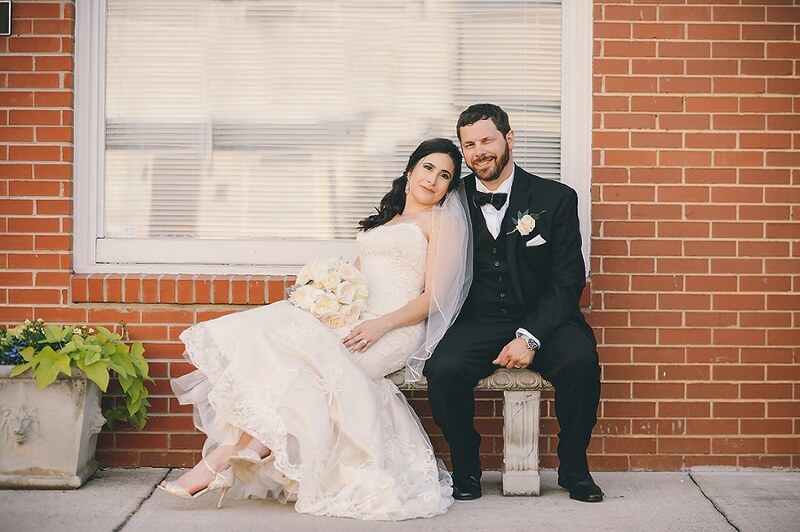 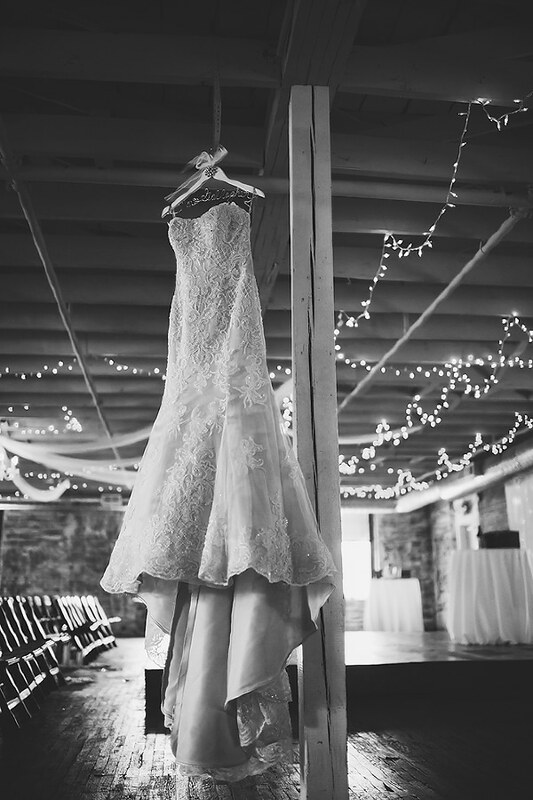 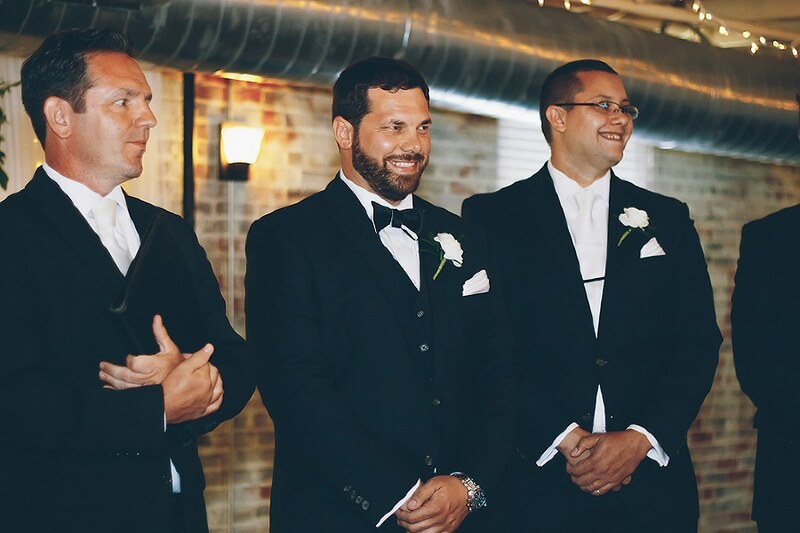 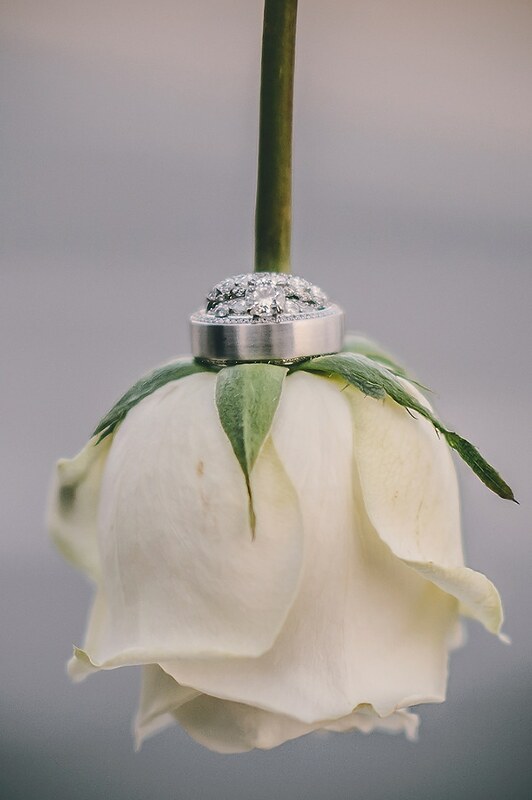 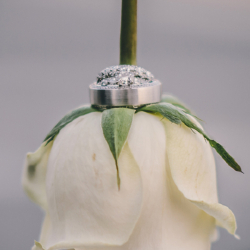 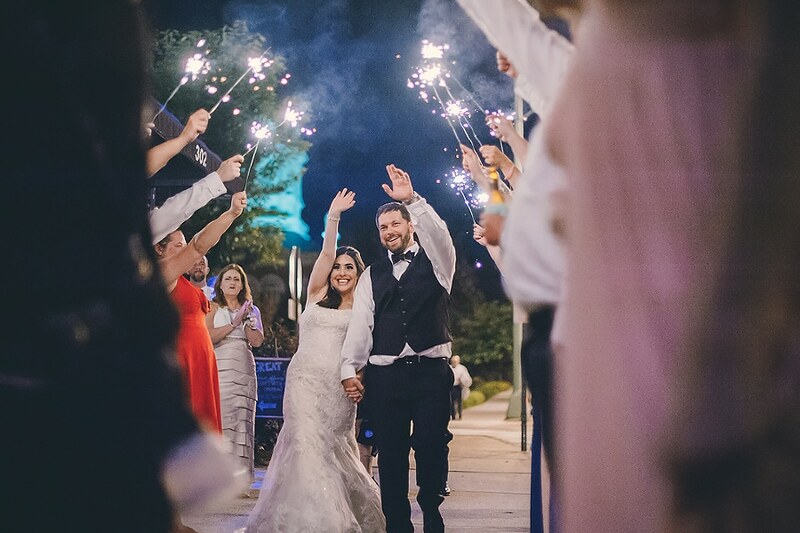 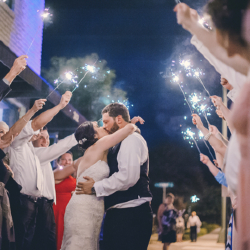 Amanda and Justin had a gorgeous Bottle Factory wedding in Monroe, NC on a beautiful day at the beginning of June. 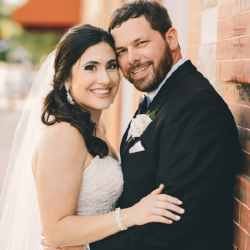 She is from Chester, SC and he is from Upstate New York. 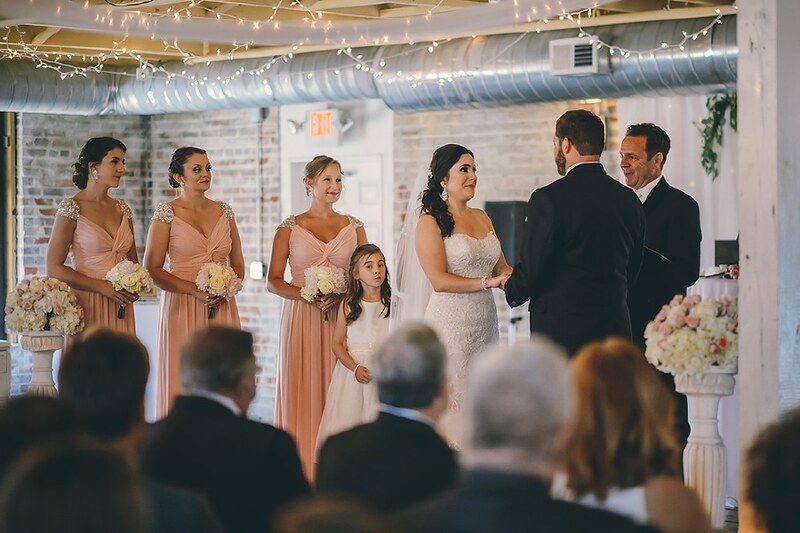 They met online and went on their first date to brunch at The Dandelion Market in Uptown Charlotte. 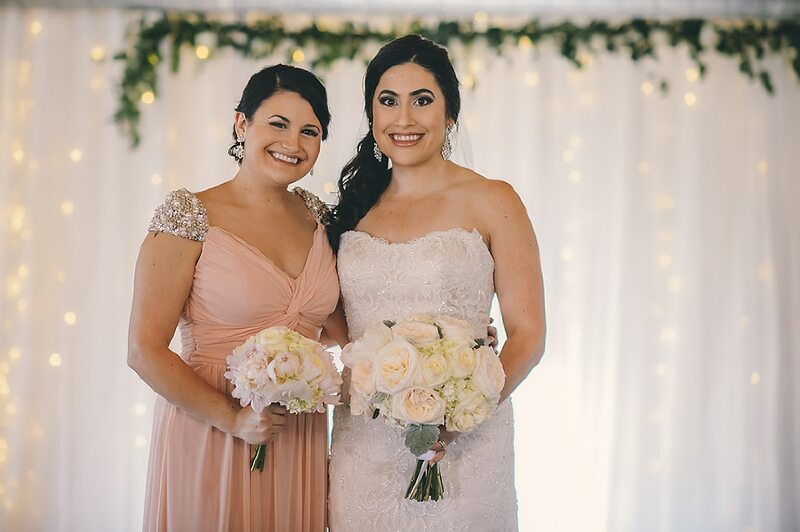 Amanda is my Zumba/Cardio Fit/Cardio Funk teacher at the YMCA! 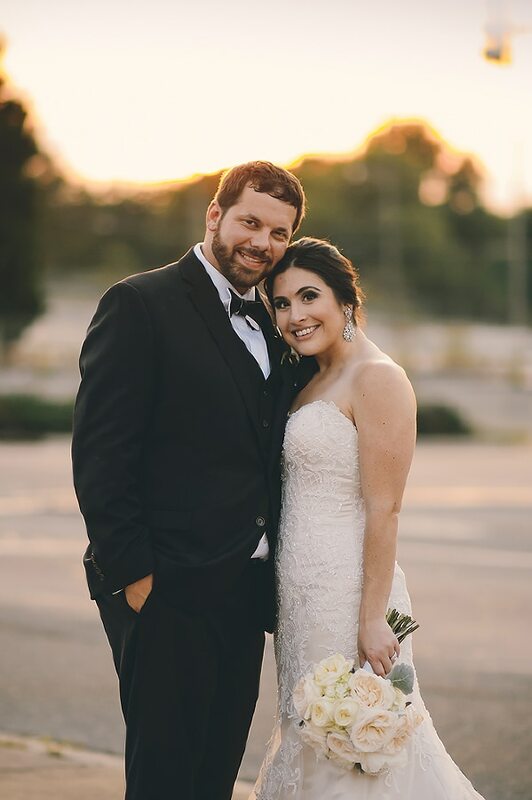 She has been my Tuesday night teacher since I first moved to Fort Mill. 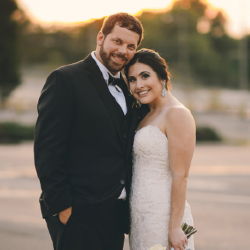 She is also a fellow civil engineer, although she went to the University of South Carolina. 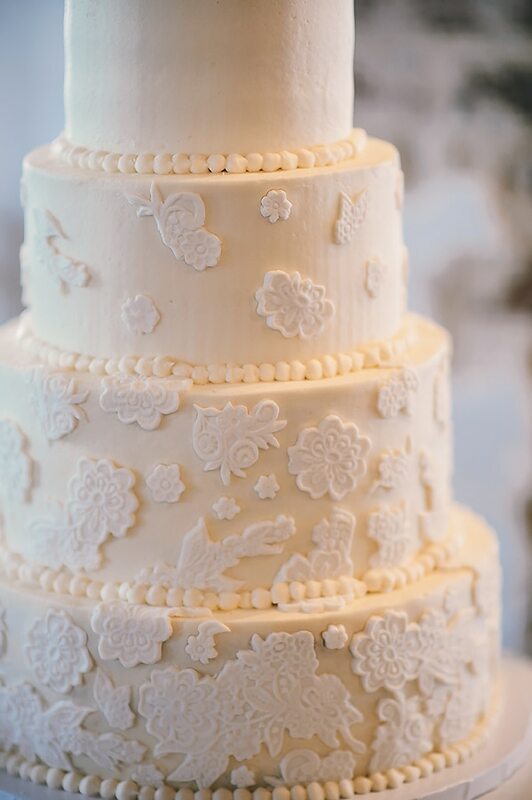 Southern touches met northern in this wedding by combining hummingbird cake, from the bride, with a traditional head table, one of the few requests from the groom. 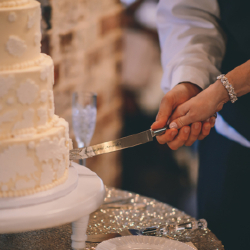 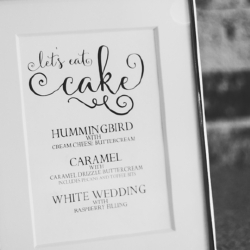 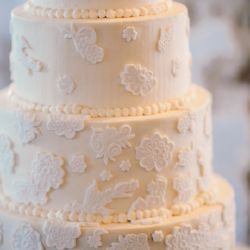 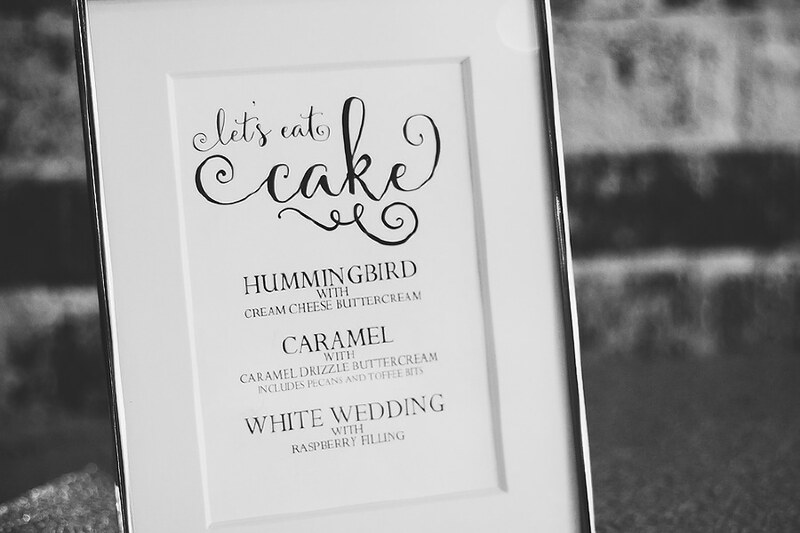 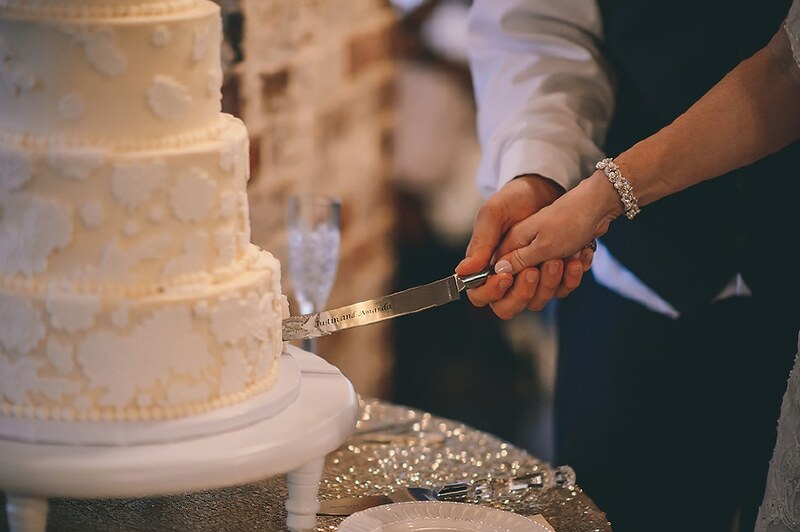 I absolutely loved that Amanda included a wedding cake flavor list – so helpful for those with allergies! 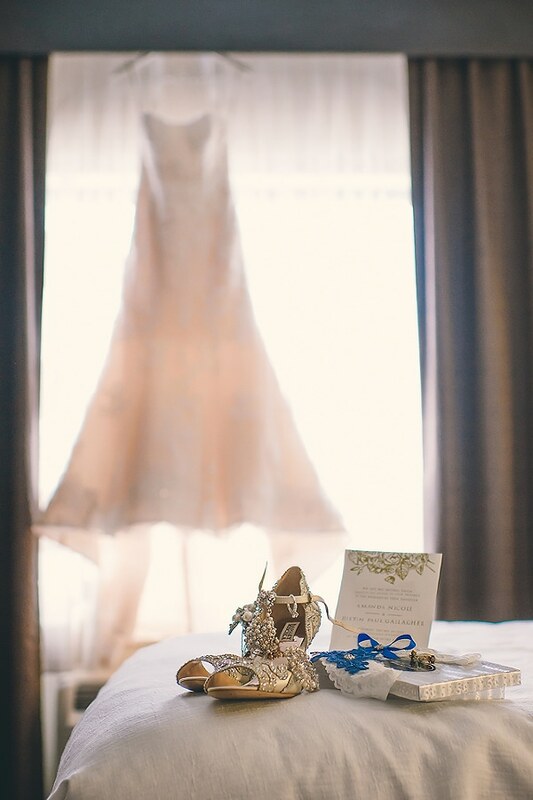 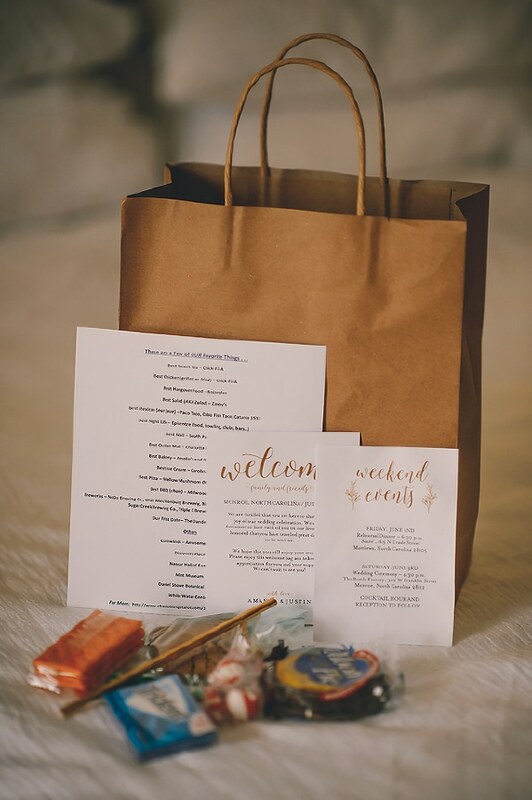 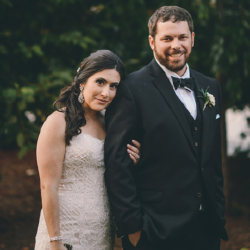 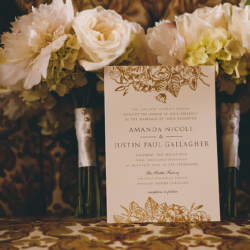 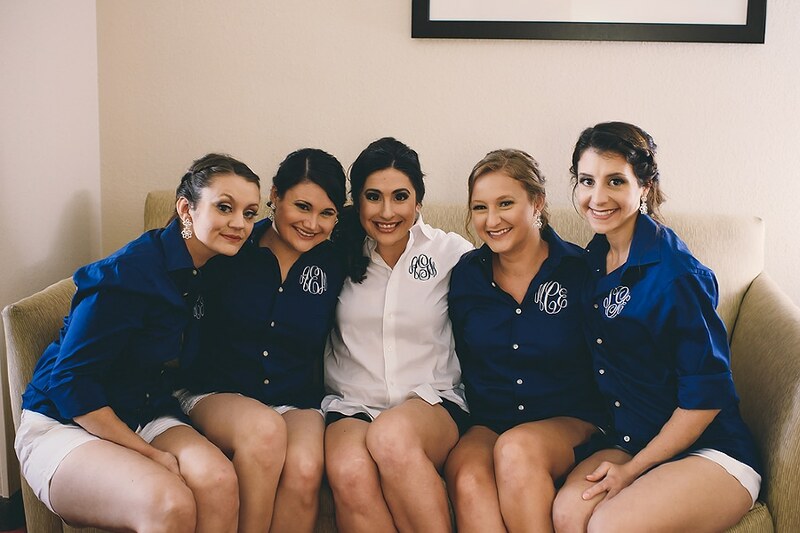 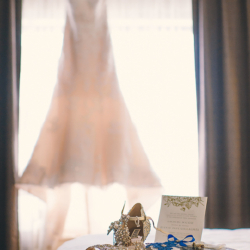 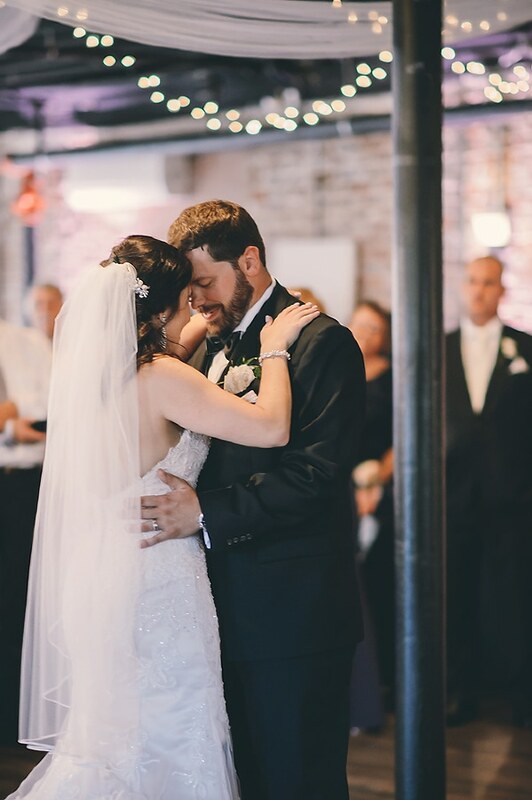 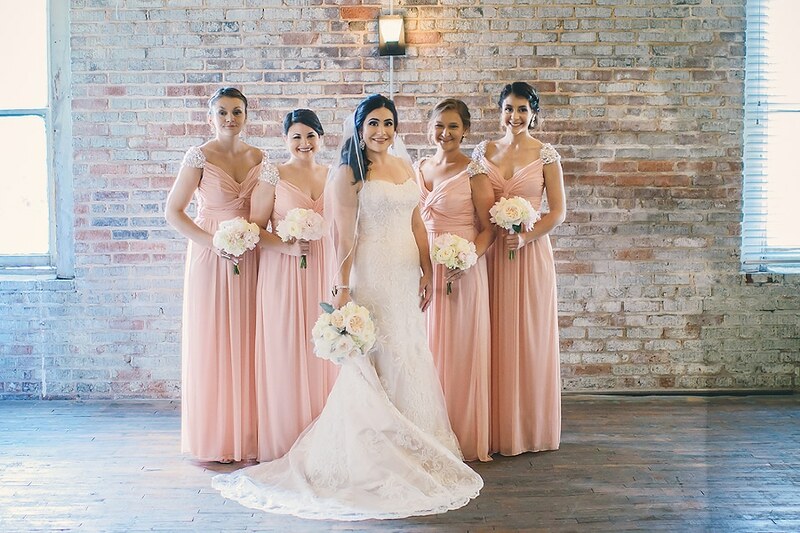 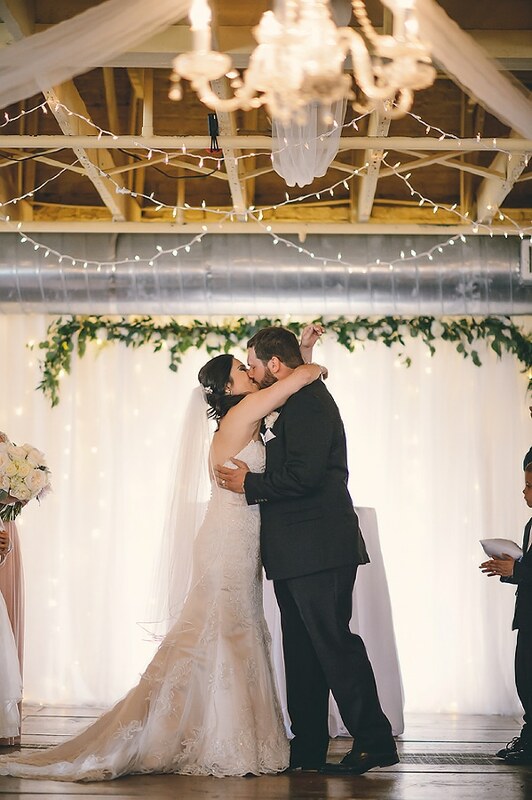 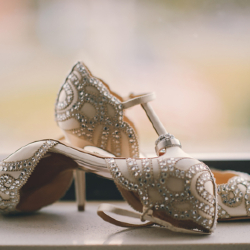 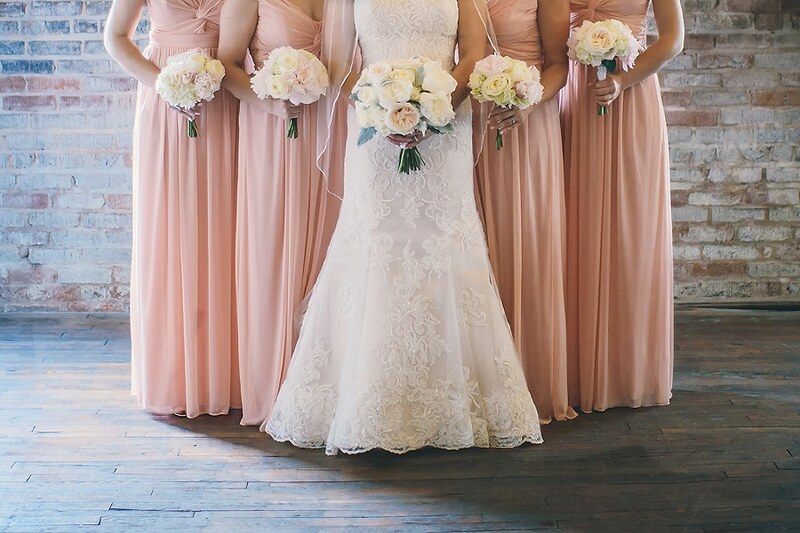 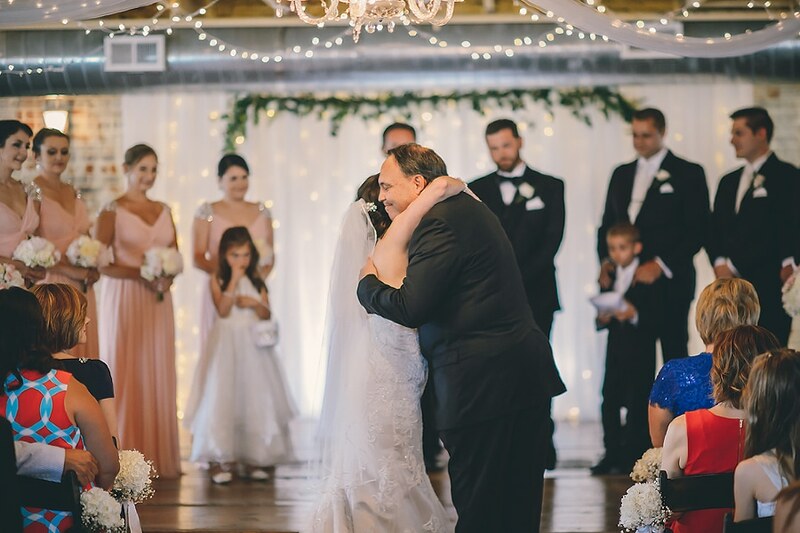 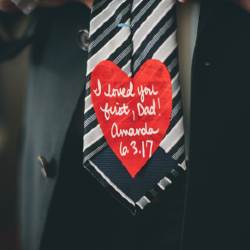 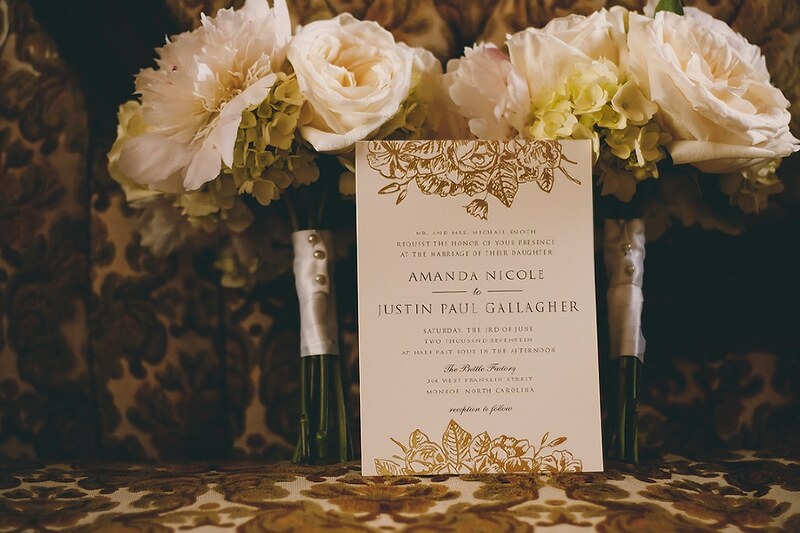 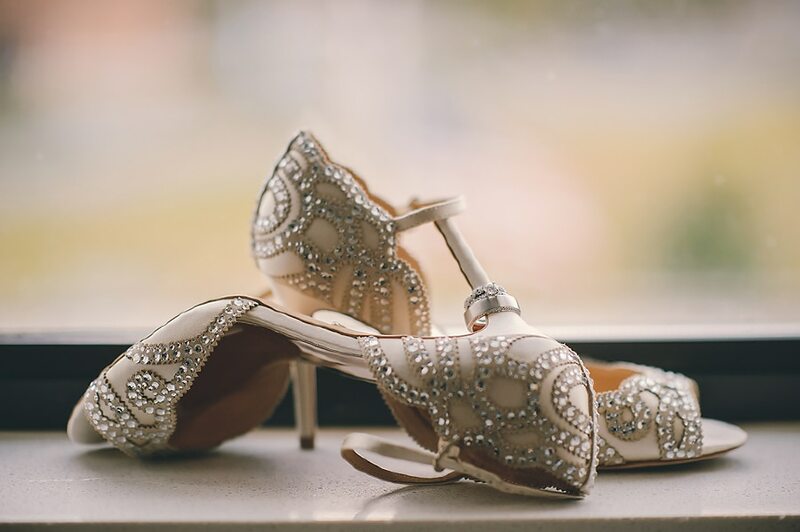 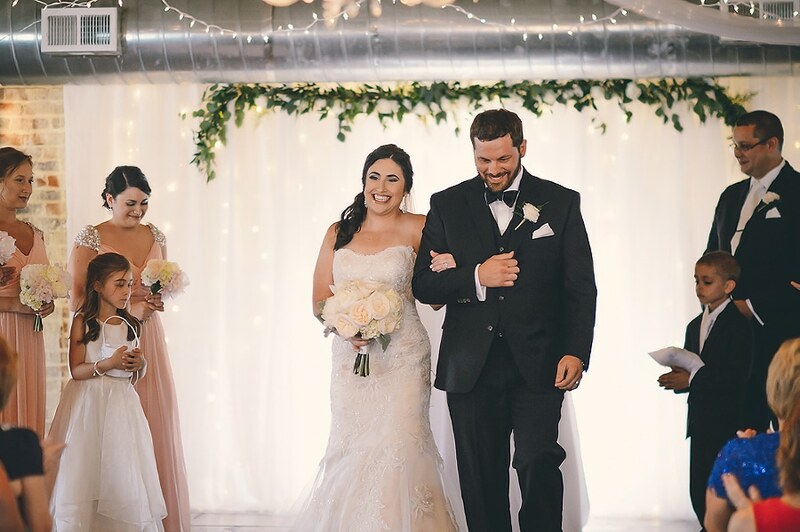 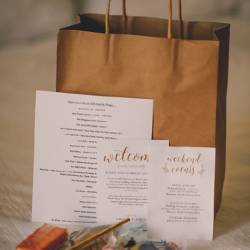 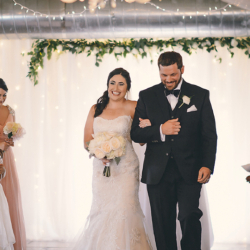 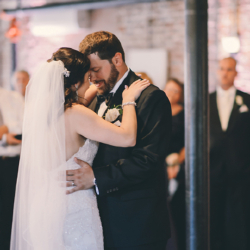 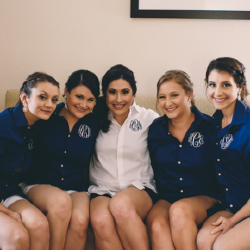 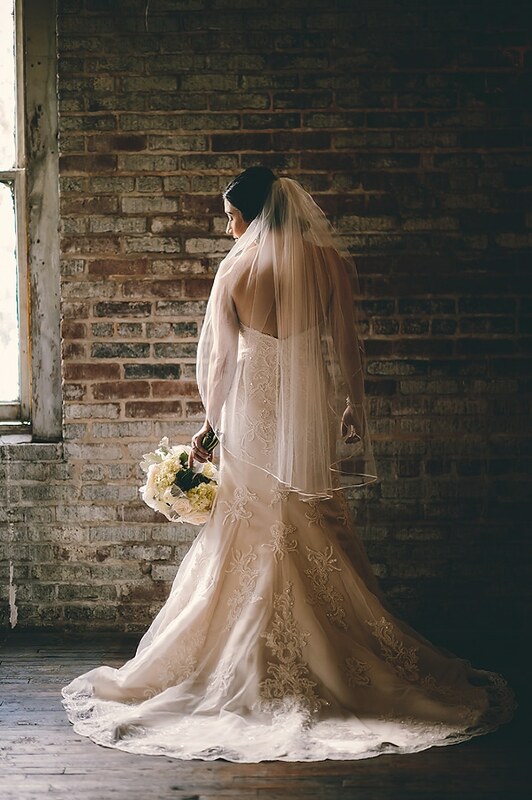 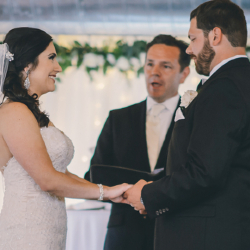 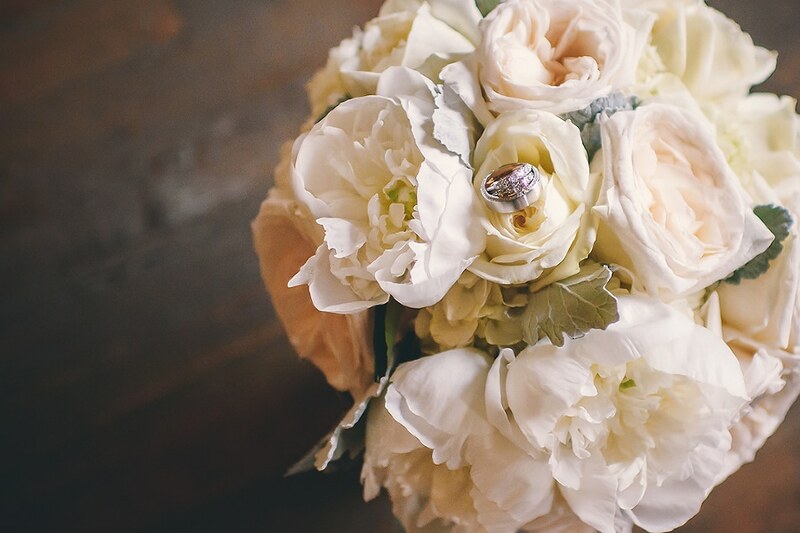 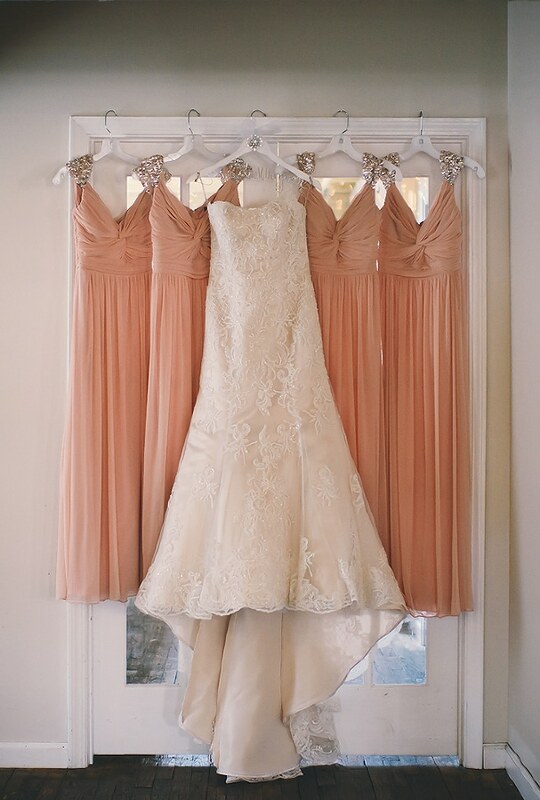 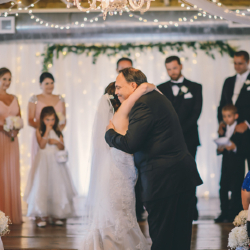 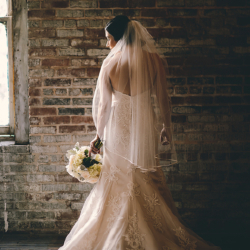 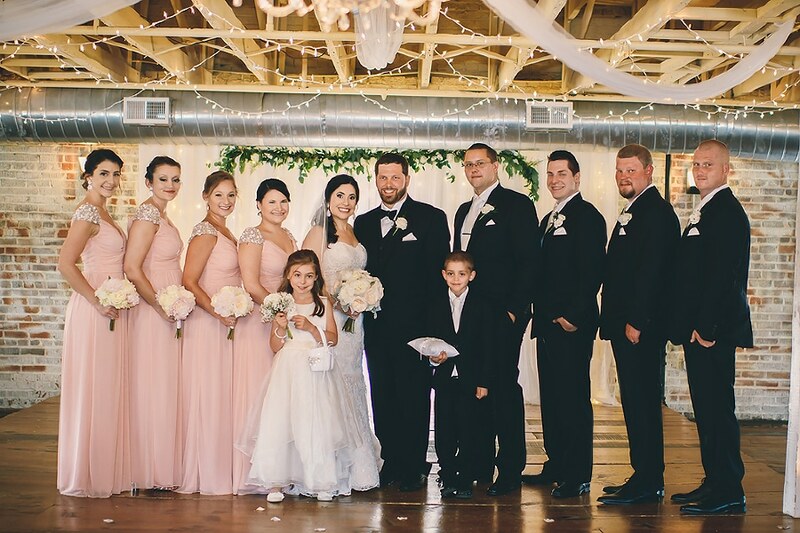 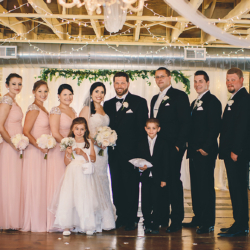 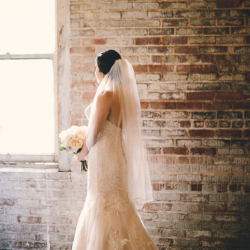 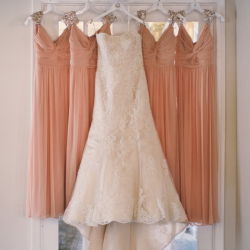 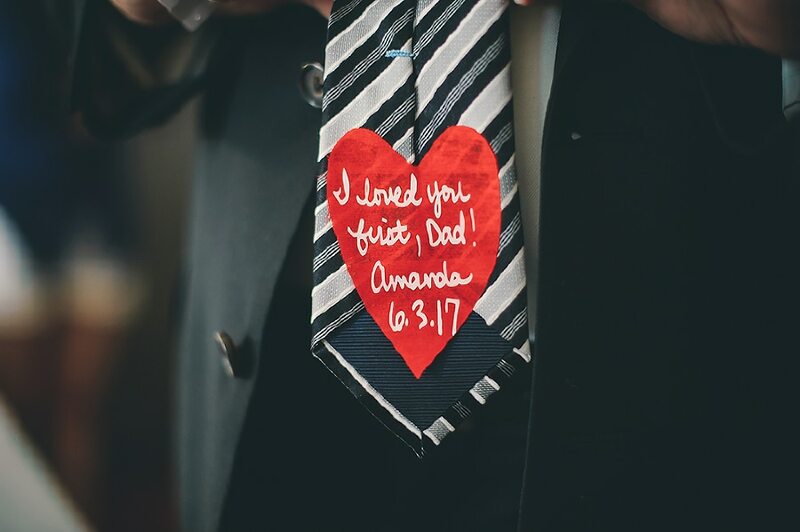 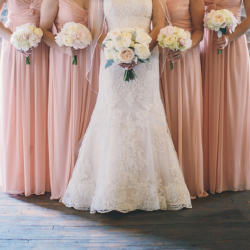 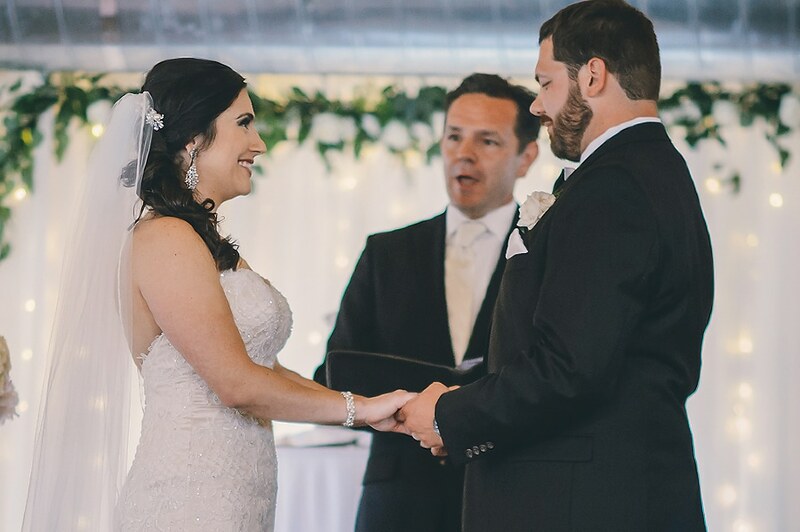 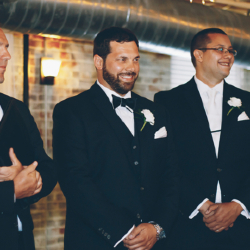 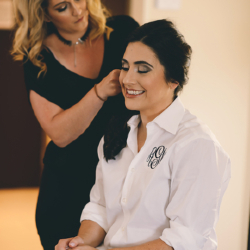 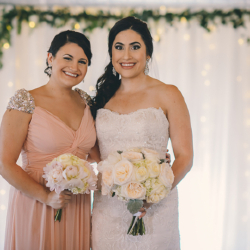 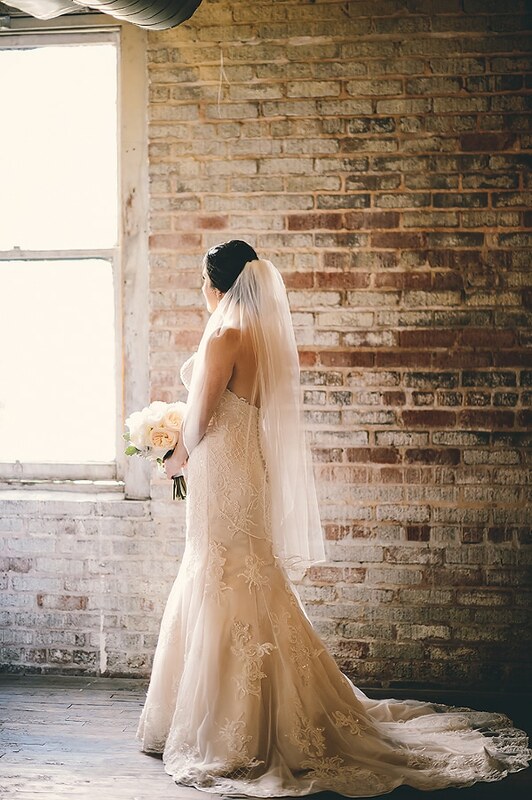 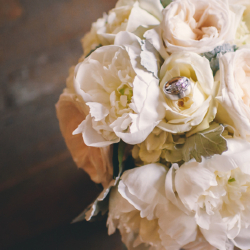 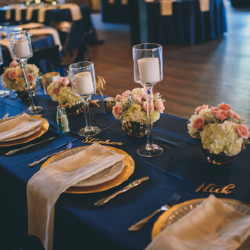 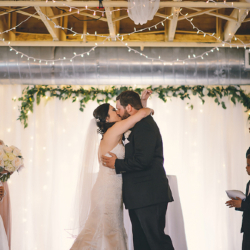 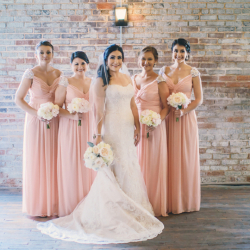 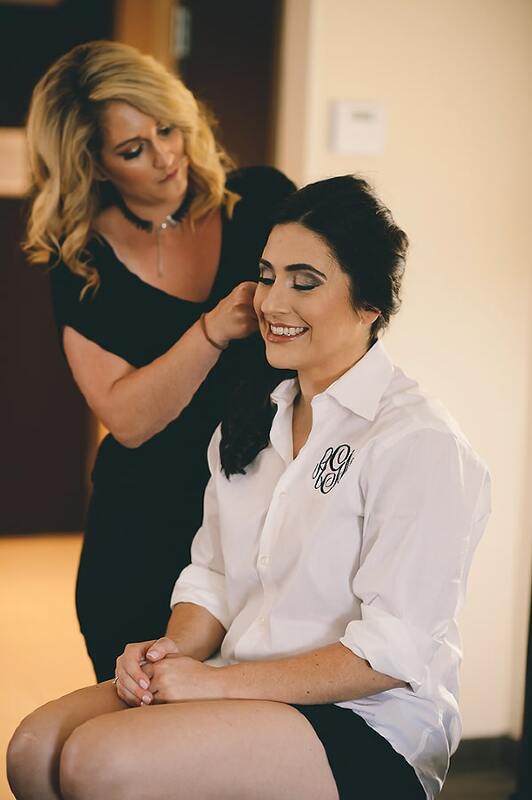 Amanda kept her colors classic with navy, blush pink, and gold accents. 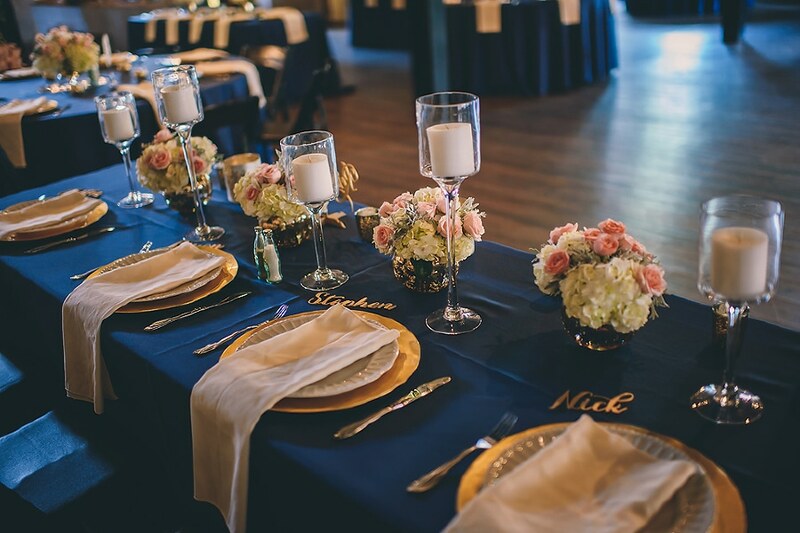 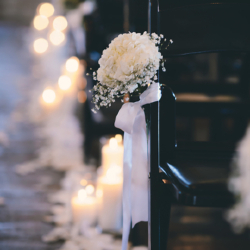 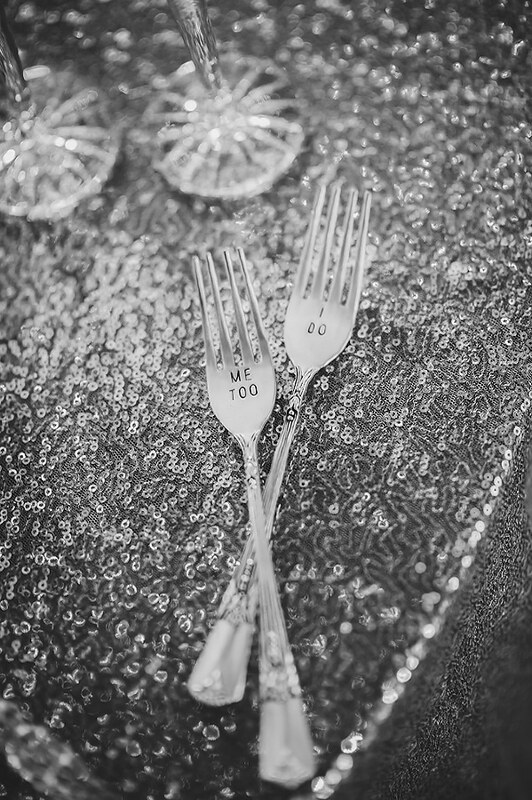 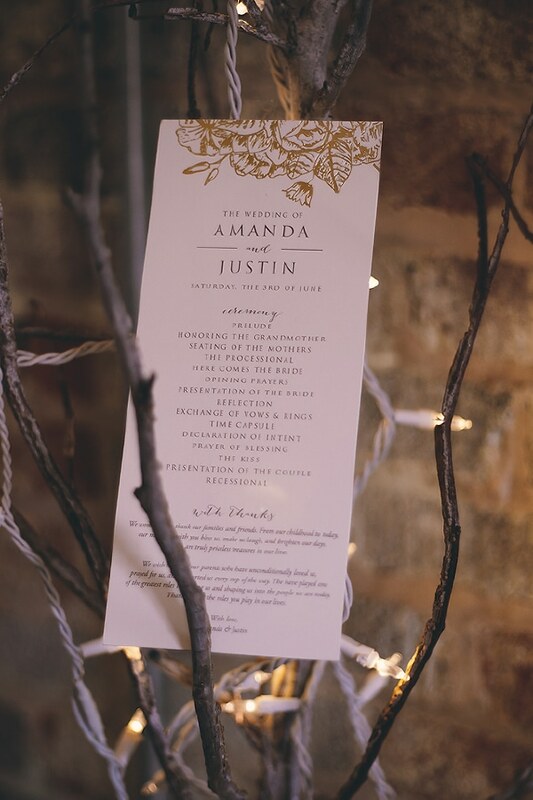 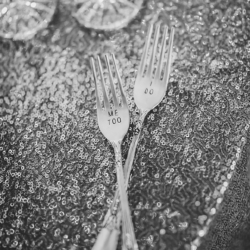 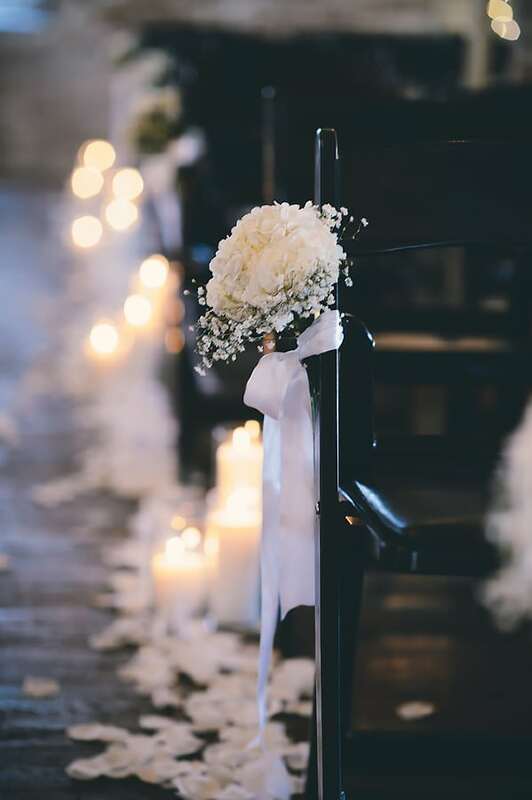 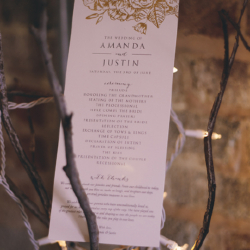 Her mother purchased lots of gold mercury votives to dress up the venue and everything looked great! 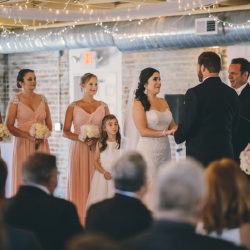 The ceremony was upstairs and the reception was downstairs at the Bottle Factory. 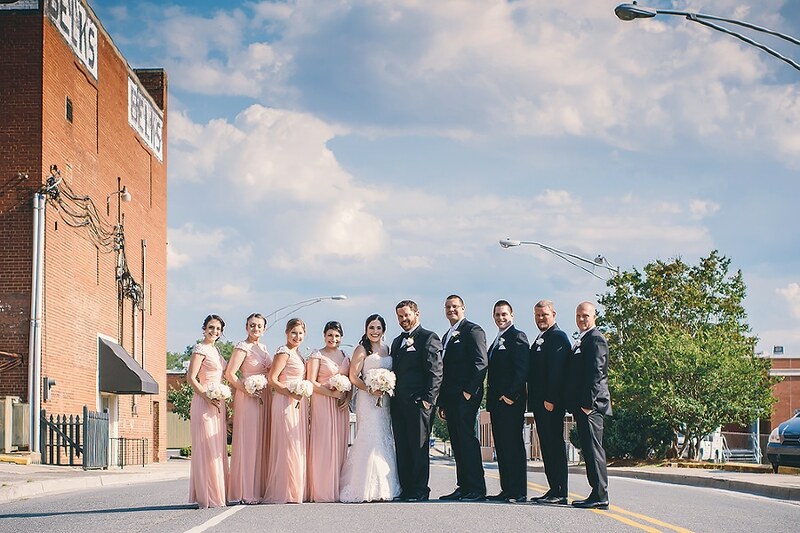 We snuck the bridal party down the street during cocktail hour for some pictures in downtown Monroe, which is such a cute town! 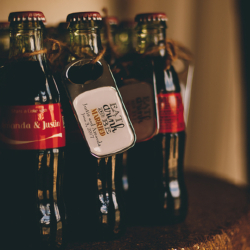 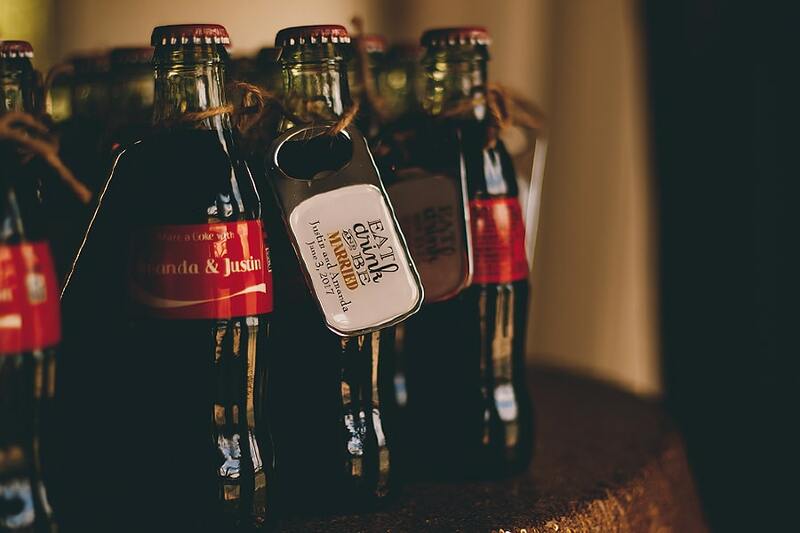 Amanda also had personalized coke bottles for favors, as a nod to the venue they chose accompanied with bottle openers. 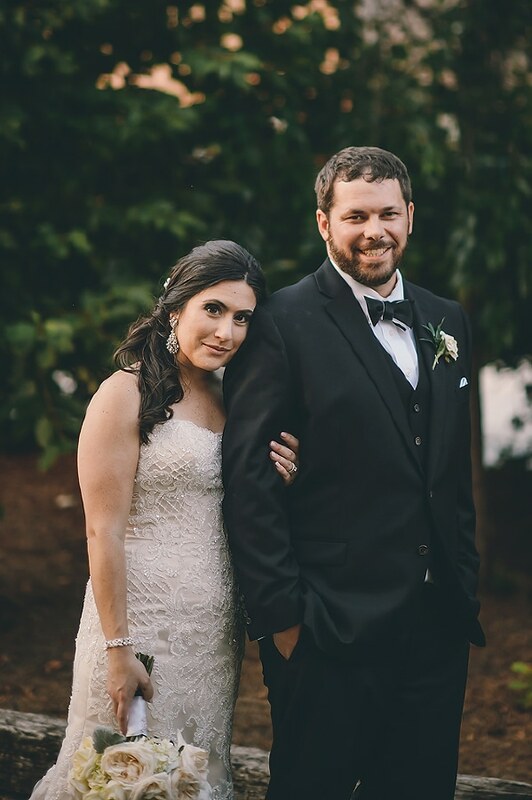 They were adorable! 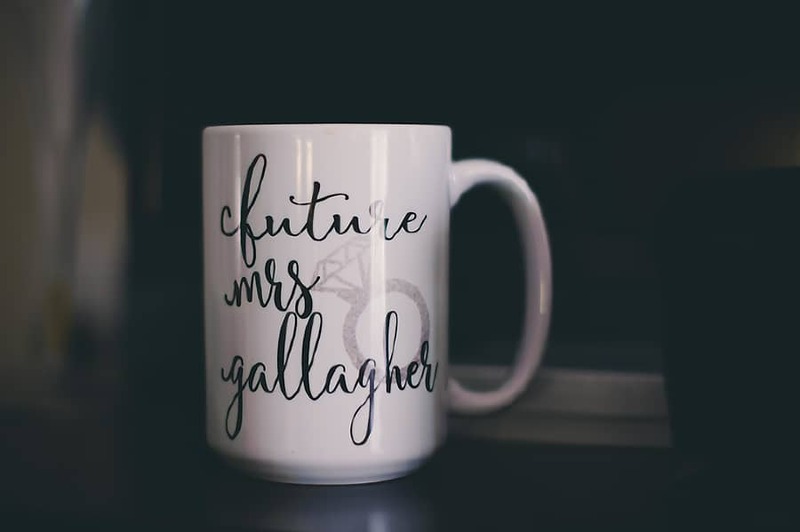 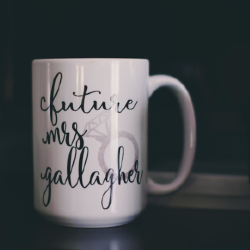 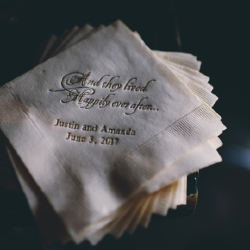 They also had personalized koozies with two sayings – “That’s what I do, I drink and I know things” and “Moon of my life, my sun, and stars” from Game of Thrones, one of their favorite shows (mine too!). 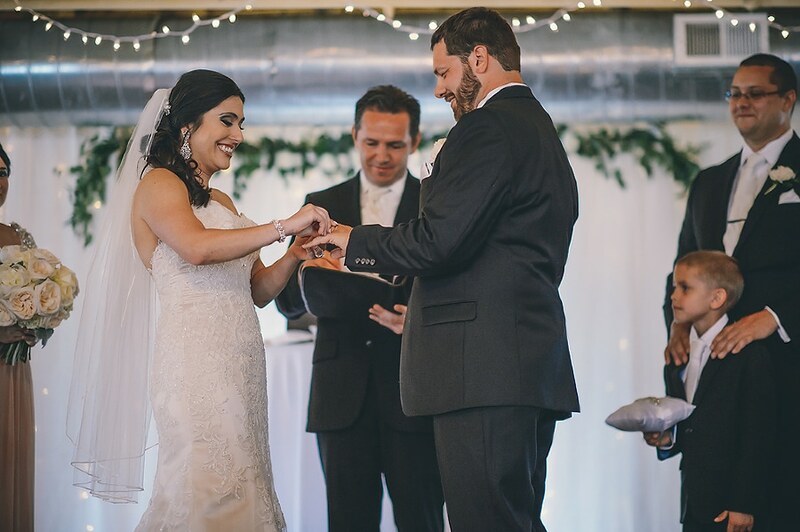 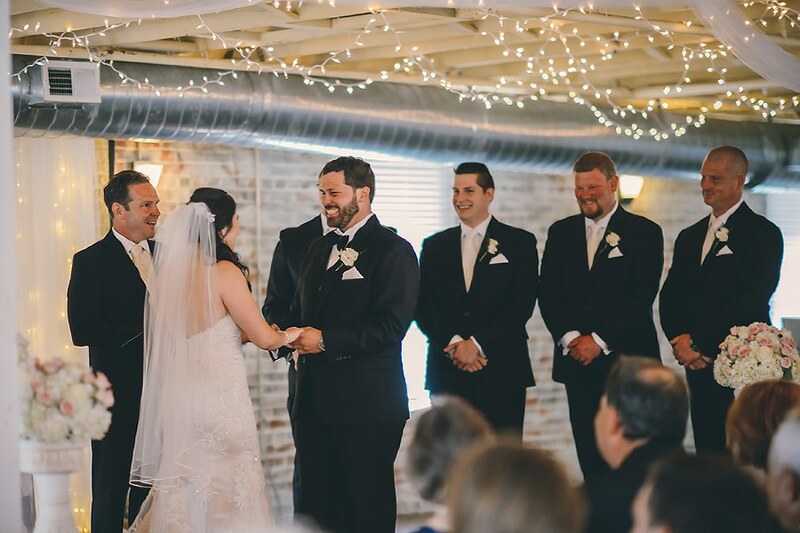 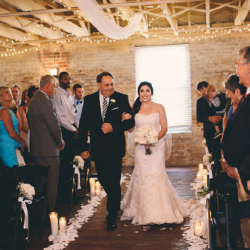 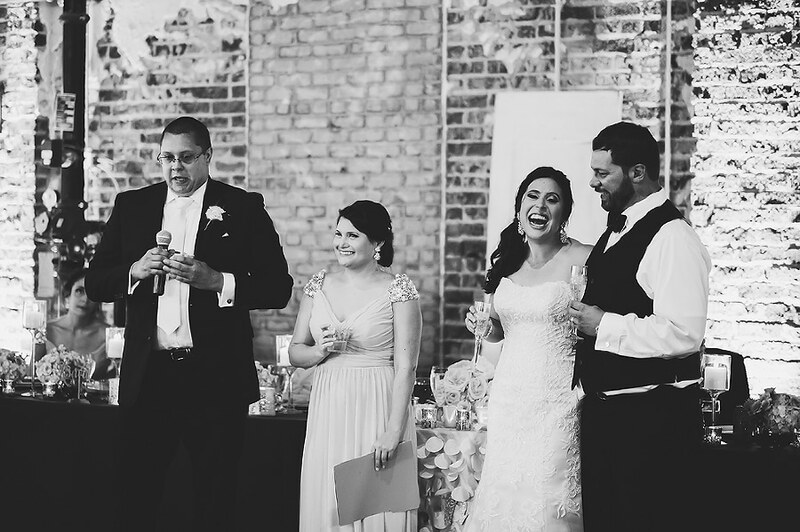 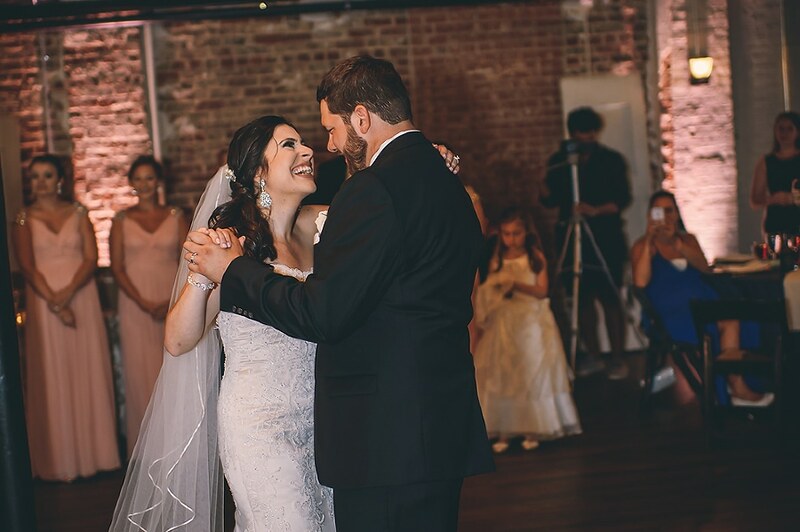 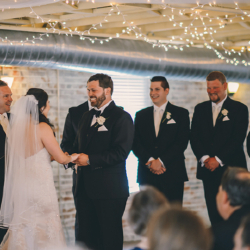 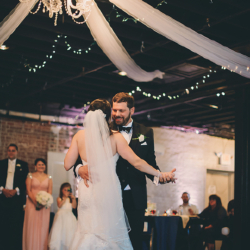 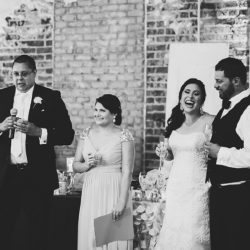 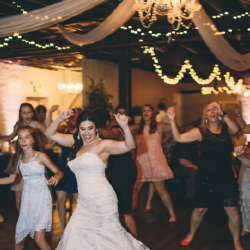 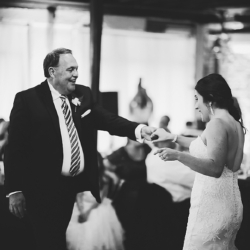 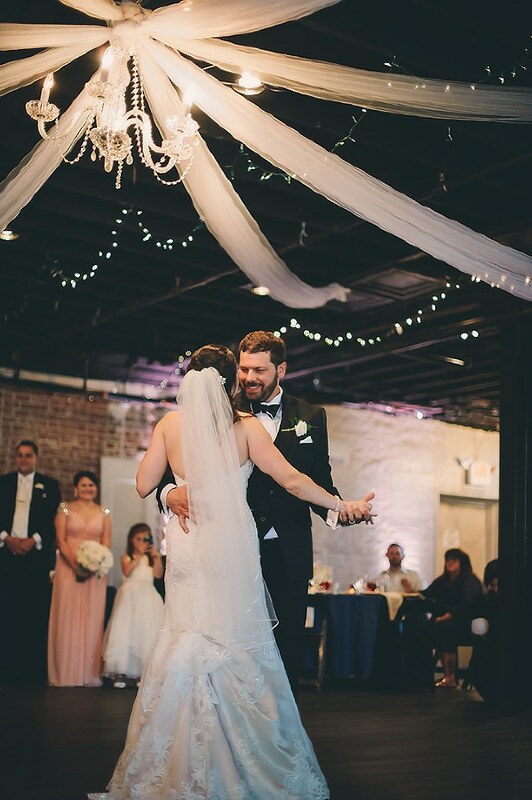 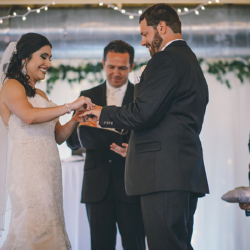 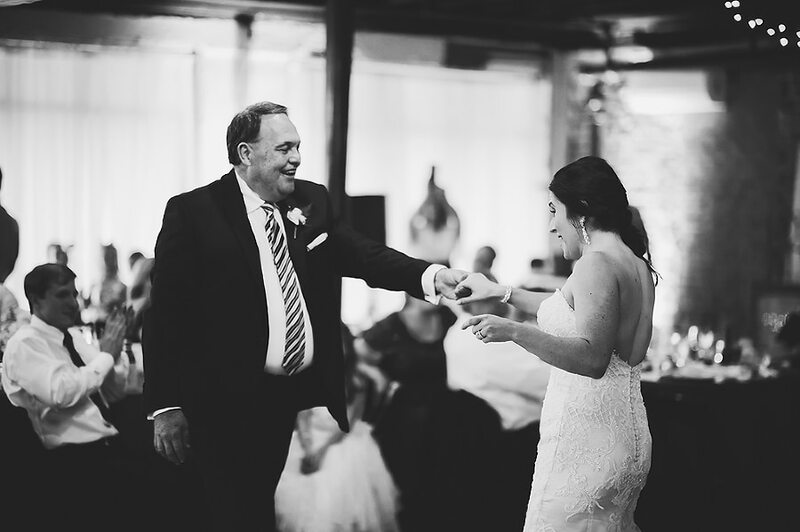 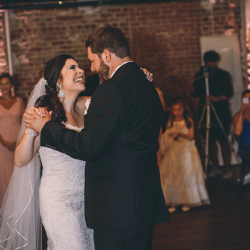 Since Amanda is a dance instructor, her dance floor was packed all night – and she was right in the middle of it! 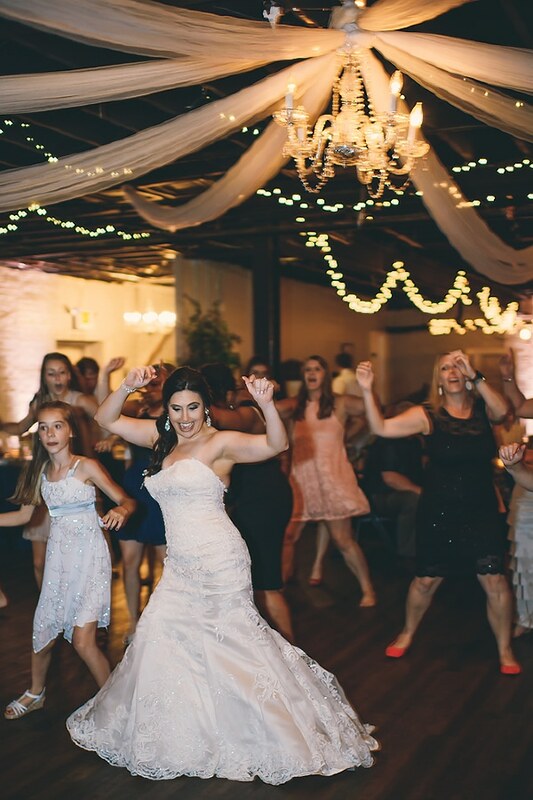 We even did a dance from one of our Zumba classes! 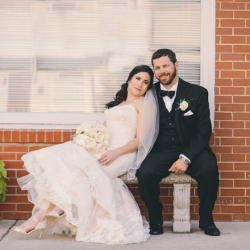 They went on a two-week honeymoon to Italy, including Rome, Venice, Florence, and the Amalfi Coast! 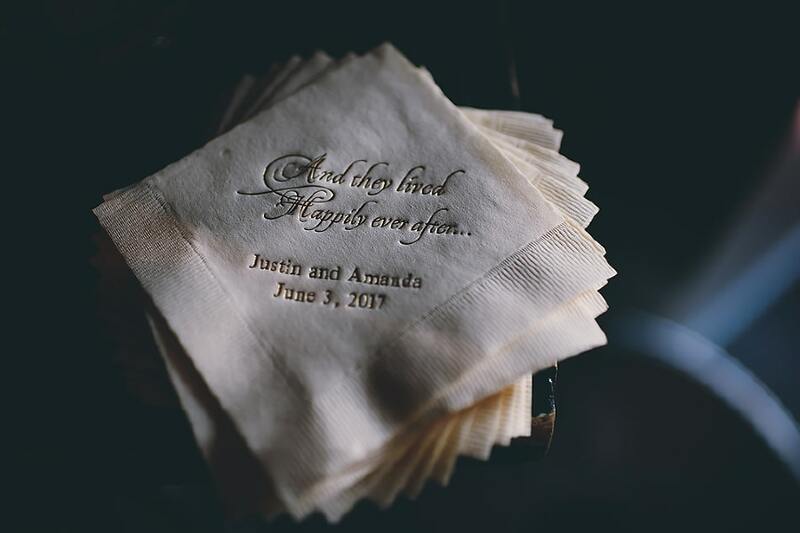 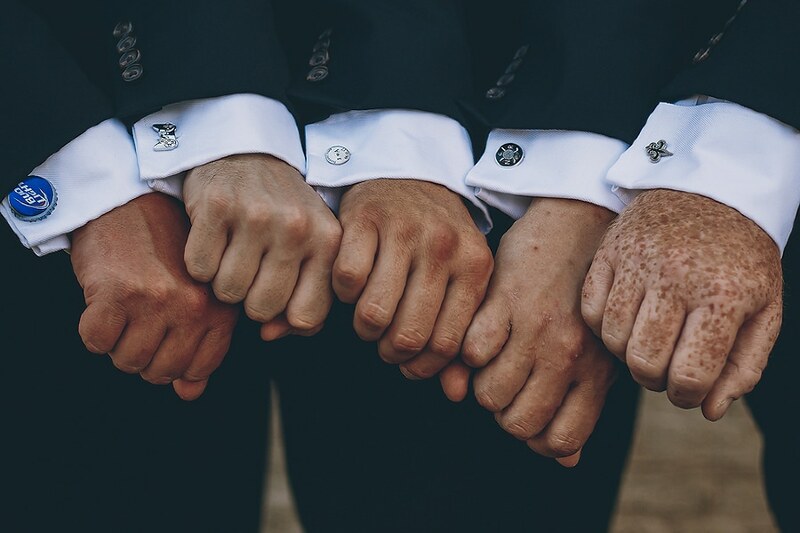 Amanda and Justin, I wish you a lifetime of happiness!